Erected in 1650, this is one of the only three houses of *Jacobean architecture still standing in the Western Hemisphere. It was the home of a prominent farmer and has no connection with any religious order. Various outbuildings support a cottage industry in sugar, rum and molasses. Grenade Hall Signal Station, Farley Hill, 422-8826. The reserve is a mahogany forest where visitors can see deer, theBarbados green monkey, porcupines and other animals, running free. Continuous bus service from Bridgetown, Holetown, Speightstown & Bathsheba. Refreshments and snack bars available. The Arbib Heritage & Nature Trail, on Speightstown, 426-2421.
maintained by the Barbados National Trust, offers a hike and a walk through the streets of town. Arlington House - Museum on Speightstown's main street. 422-4064. 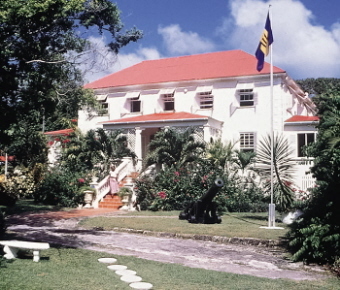 An 18th century building with exhibits educating us about life in Barbados. There's a Cafe on site. Entry fee. Wild Feathers Bird Art, 423-7758. An interesting small studio, features the exquisite works of Geoffrey and Joanie Skeete, who recreate indigenous and migratory birds of Barbados. St Philip's Parish Church, Church Village, 423-3780.The earliest record of this Anglican Church is dated 1640 and it is clear that this Church was severely damaged by the hurricane 1780. A new Church was built in 1786 and completely destroyed by the hurricane of 1831. The Church was rebuilt and On Ash Wednesday 1977, it was partially destroyed by fire. It was restored by voluntary subscriptions. 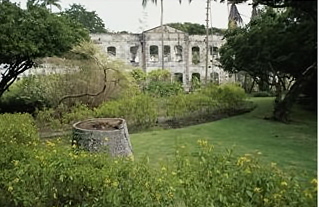 Sam Lord’s Castle, was considered by many to be the finest mansion in Barbados, or even in the English-speaking Caribbean, Sam Lord’s Castle was built in 1820. Much of the original mahogany furniture and gilt mirrors have gone, the buildings are crumbling and the grounds are unkempt. Sam Lord’s Castle is closed. 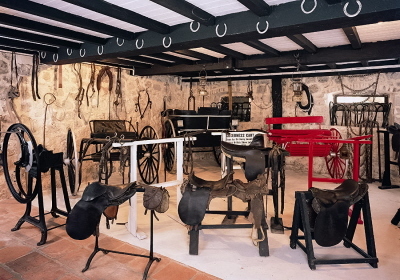 The house is over 300 years old, steeped in history, featuring exquisite furnishings, objects d’art and rare Caribbean collectibles donated by numerous patrons, mahogany antiques, old prints and a unique collection of horse-drawn carriages. Coles House near Ragged Point is a great area of marsh and ponds. The Ayshford Ratite Gardens, is currently undergoing changes. Eagle Pointe Cove, is a complex consisting of family dwellings, and recreational activities as well as the newly renamed Eagle Pointe Cove Bird Park where you can still visit the famous ostriches and emus. Jack-in-the Box Gully, is the location of the aerial tour. View the beautiful eco-system in Barbados. The tour takes you over seven platforms, each with two experienced guides who will provide information on different areas of the eco-system you are experiencing. Age participation is between 16 and 80 years old. Maximum weight is 250 pounds per guest. Welchman Hall Gully, Highway 2, 438 6671. The gully is home to exotic flora including nutmeg, banana and flowering plants, 200 in all and many of them labeled. The trams take you on a spectacular ride underground, to view exquisite formations overlooking a fast-flowing stream. Hanging from the roof and rising from the floor are literally thousands of stalactites and stalagmites. 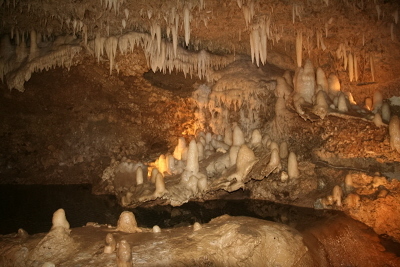 The water that runs through the Cave is fed by two separate underground streams. At "Twin Falls" these two streams cascade into the lake beneath. 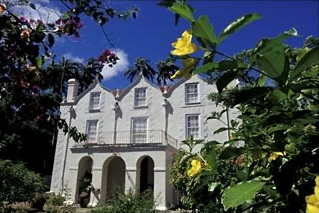 Fisherpond Plantation House was built in 1635. It has been restored and is a restaurant that serves delicious meals. Reservations are a must! *The Jacobean style is the name given to the second phase of Renaissance architecture in England, following the Elizabethan style. It is named after King James I of England, with whose reign it is associated.